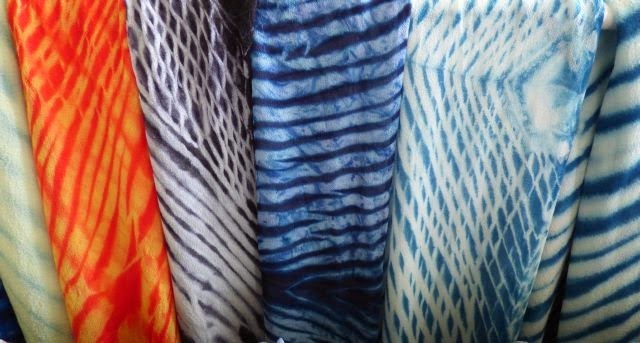 Just a few of the shibori scarves that I pole wrapped and dyed in May. A mix of silk chiffon and silk crepe. All dyed with Tinfix silk dye.